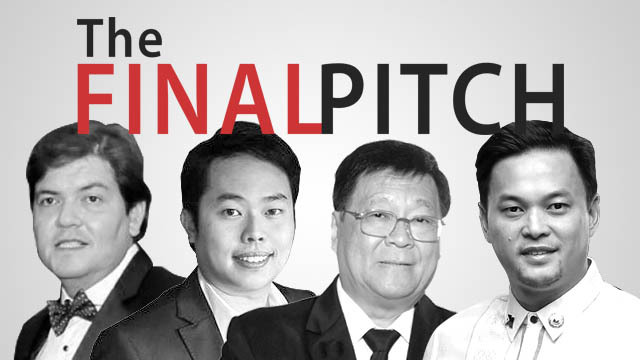 Four of the country’s most successful and prominent entrepreneurs have signed up as mentors and investors for the second season of the Philippines’ first business reality show The Final Pitch, according to the show’s producers. The show will air on CNN Philippines. The new set of judges include William Tiu-Lim, who founded one of the country’s biggest seafoods canner, Mega Global Corp.; Rep. Michael “Mikee” Romero, an elected party-list congressman who is also chairman of Globalport 900 Inc., which operates the third biggest port in Metro Manila; Jet Yu, founder and managing director of property brokerage and consultancy Prime Philippines; and Dino Araneta, CEO of digital logistics company QuadX. The show’s producer, Streetpark Productions Inc., is seeking entrepreneurs who have at least a minimum viable product or prototype, and are looking for seed stage to later stage funding to join Season 2 of The Final Pitch. The show is loosely inspired by Emmy Award-winning American shows Shark Tank and The Apprentice. Founded by businessman John Aguilar, Streetpark is also behind real estate and construction TV show Philippine Realty TV. In the first season, which ran from July to October 2017 on History Channel, The Final Pitch selected 10 participants for the final business bootcamp. Most of the contestants were founders of tech startups and food service businesses. By the end of the first season, five finalists—health insurance platform Maria Health, office space solutions provider FlySpaces, online grocery service Pushkart.ph, online platform for “glamping” Gleep and flavored drinks maker Infusions—won funding from several of the previous mentors and investors. (Infographic) What Are Millennials Willing to Give Up for Their Careers?